Gorgeously updated 3 bedrooms /2 baths ranch on a quite street in College Corner, welcomes you with a beautiful garden. 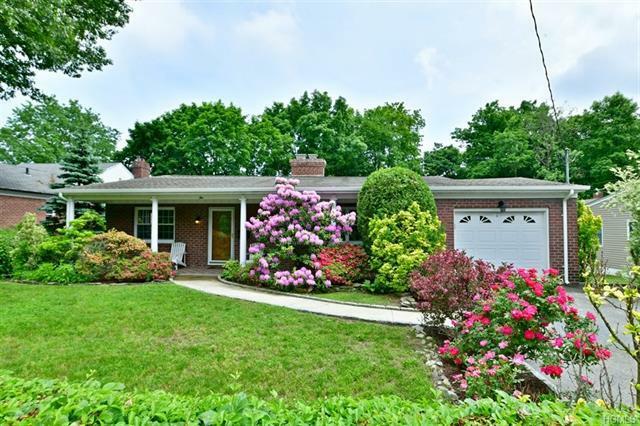 This ranch is completely updated with hardwood floors and beautiful crown moldings. New roof, siding, boiler and all were added in 2007. New kitchen is stylishly designed with waterfall center isle and stainless steel appliances. Large living-room has a beautiful fireplace and the dinning room leads to a concrete deck to enjoy your summer days. Spacious bedrooms with updated master bath is perfect for your family and the large back yard has plenty of room for entertainment. It is also conveniently located a mile and half to the Hartsdale & White Plains metro North a little over 30 minutes to Grand Central. Don&apos;t miss this opportunity to own this beautiful ranch. !! PRICE JUST REDUCED FOR A QUICK SALE ! !.